If you usually wait until the last minute to shop for gifts or get your home ready for the holidays, here are some great tips that will reduce the stress and give you more time to enjoy the season. 1. Decide what is your priority for the holiday- focus your time, energy and money there. 2. Create a holiday planning binder. By having a check off list of things to do you will be able to schedule the tasks into your calendar. 3. Create a budget for the holiday and stick to it. Make a list of who you need to buy for and how much you want to spend on them. 4. So as not to add more clutter to people’s lives, buy consumable gifts: food, gift certificates to plays, restaurants, favorite sporting events, etc. The best idea is to give to a charity in honor of each person on your guest list. 5. Buy out of town gifts early and save on shipping- avoid overnight or rush charges. 6. If you shop in stores and not on line- save time by shopping at off peak hours. Mornings and dinner time during the weekdays are usually the least busy times. Shop local stores instead of the busy malls. 7. Simplify your holiday cards by using web based companies like SendOutCards.com to do your holiday cards now. 8. Choose a focal point for decorating instead of trying to do the entire house. 9. Host a cookie exchange! Less cooking for you, fun time with friends and get lots of cookies! 10. Make sure to give yourself a gift! Relax with a massage, manicure or bubble bath! These tips were courtesy of www.organizednj.com. Hardwood flooring is the floor of choice for most homeowners today. Their natural beauty adds warmth to any room. 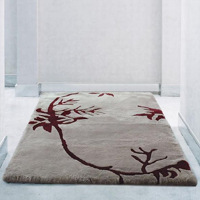 Area rugs can enhance a room’s decor and make other elements in the room more cohesive. They also function to define the space. 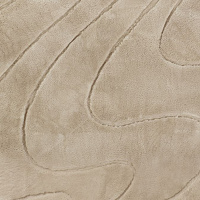 Auskin, a line of lambskin and sheepskin rugs for the home and lifestyles of today, has an array of innovative interior design rugs in a variety of natural textures in hues of earthy tones. Bringing luxury and style to every room of the house, Auskin lambskins are the perfect accessory to adorn your hardwood floors. 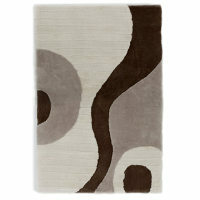 Basics – designs include circles, squares, crescents, and cubes.